Better results begin with better analyte collection. 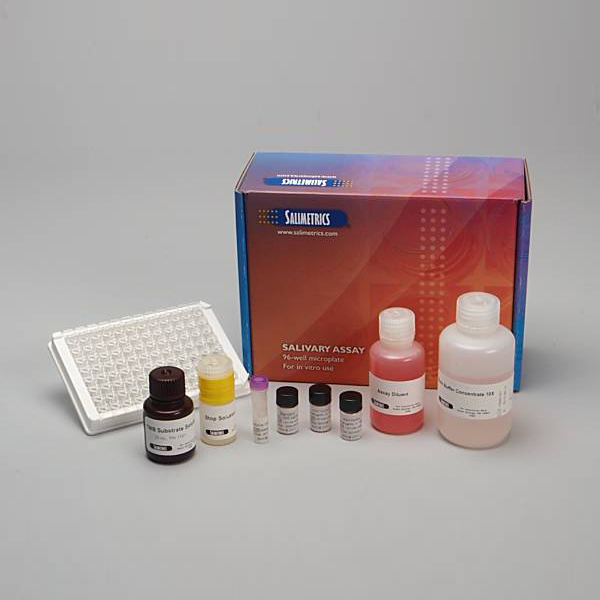 This collection protocol features general considerations to maximize salivary 17OHP analysis. Use this analyte-specific collection protocol to plan your collection methodology and sampling schemes. Pasquali, R., Patton, L., Pocognoli, P., et al. (2007). 17-Hydroxyprogesterone responses to gonadotropin-releasing hormone disclose distinct phenotypes of functional ovarian hyperandrogenism and polycystic ovary syndrome. J Clin Endocrin Metab, 92(11), 4208-17. Şahin, Y., Keleştimur, F. (1997). 17-Hydroxyprogesterone responses to gonadotrophin-releasing hormone agonist buserelin and adrenocorticotrophin in polycystic ovary syndrome: Investigation of adrenal and ovarian cytochrome P450c17α dysregulation. Hum Reprod, 12(5), 910-13. Strott, C.A., Yoshimi, T., Lipsett, M.B. (1969). Plasma progesterone and 17-hydroxyprogesterone in normal men and children with congenital adrenal hyperplasia. J Clin Invest, 48(5), 930-39. Weliky, I., Engel, L.L. (1962). Metabolism of progesterone-4-C14 and pregnenolone-7α-H3 by human adrenal tissue. J Biol Chem, 238(4), 1302-7. Santos, C.M., Abad, L.R., Cua, S.C. & Domingo, C.F. (2003). Monitoring congenital adrenal hyperplasia using blood spot 17-hydroxyprogesterone assay. Southeast Asian J Trop Med Public Health, 34(Suppl 3), 174-8. Sack, J., Front, H., Kaiserman, I., Schreiber, M. (1997). 21-hydroxylase deficiency: Screening and incidence in Israel. Horm Res, 48(3), 115-9. New, M.I., Levine, L.S. (1984). Congenital adrenal hyperplasia. Monographs on Endocrinology, 26, 1-88. Van der Kamp, H.J, Wit, J.M. (2004). Neonatal screening for congenital adrenal hyperplasia. 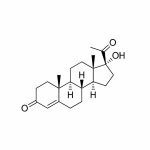 Eur J Endocrinol, 151(Suppl. 3), U71-5. Hughes, I.A., Winter, J.S. (1976). The application of a serum 17-OH progesterone radioimmunoassay to the diagnosis and management of congenital adrenal hyperplasia. J Pediatrics, 88(5), 766-73. Gröschl, M., Rauh, M., Dörr, H.-G. (2003). Circadian rhythm of salivary cortisol, 17α-hydroxyprogesterone, and progesterone in healthy children. Clin Chem, 49(10), 1688-91. Goudas, V.T., Dumesic, D.A. (1997). Polycystic ovary syndrome. Endocrinol Metab Clin North Am, 26(4), 893-912. Vining, R.F., McGinley, R.A. (1987). 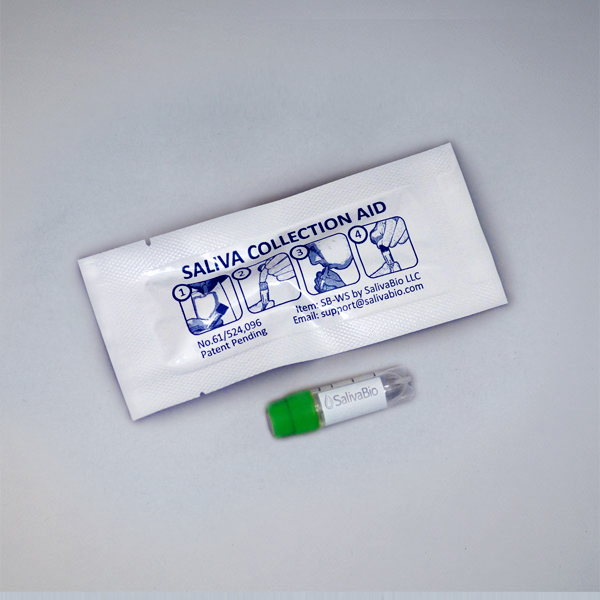 The measurement of hormones in saliva: Possibilities and pitfalls. J Ster Biochem, 27(1-3), 81-94.